A fant­astic range of 24 clear plastic floats designed primarily for com­mer­cial fisheries. 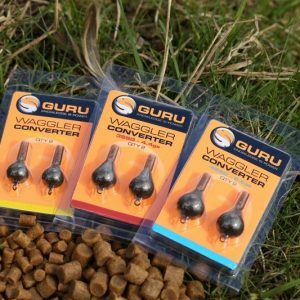 puddle-chuckers-complete-range Drennan Puddle Chuckers are an ideal choice of wag­gler for fishing up in the water or in shallow depths of water. The Crystal body and ‘dumpy’ pro­por­tions make it very unob­trusive. They also cast a sur­pris­ingly long way for their rel­ative size! 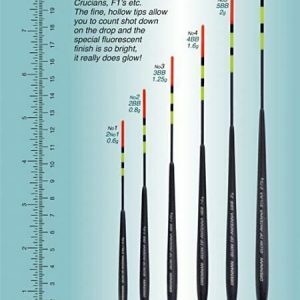 They are lighter and more buoyant than balsa wood and the material is also much tougher and imper­vious to line and shot damage. 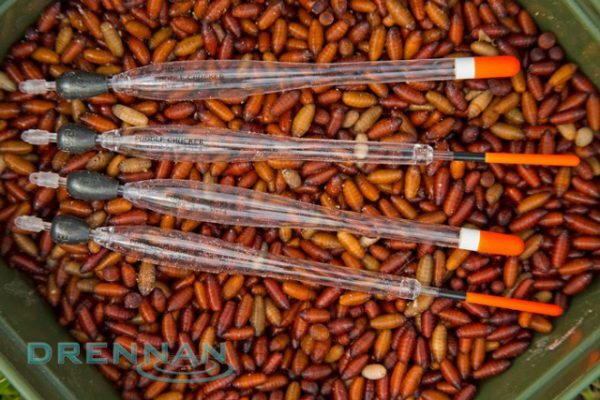 Those with antennas can inter­change the tips with Standard, Match or Giant Combo Tips – and even Drennan Night Lights for use in the darkness. The loaded ver­sions have a clever attach­ment that can be clipped on and off so that the whole float can be changed in seconds.